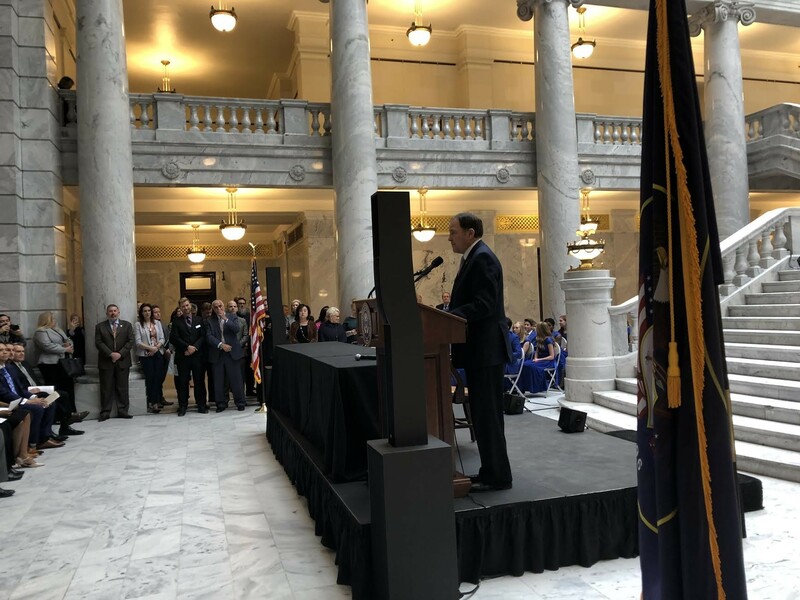 As she stood behind a state-sealed podium in the Capitol rotunda, Rep. Patrice Arent, D-Millcreek, could have mentioned any number of hateful violent acts that have occurred in Utah or the U.S. in recent years. Instead, she focused on an instance that hit particularly close to home: the 2012 shooting of her local synagogue’s windows by a man named Macon Michael Openshaw. 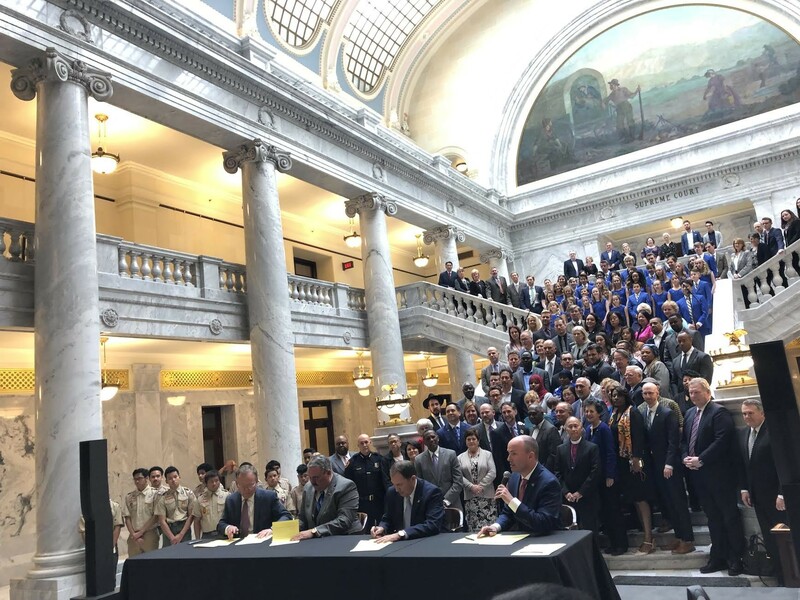 As of Tuesday, Herbert had signed 538 bills from the 2019 legislative session. But the governor’s support for the hate crimes bill is significant because similar pieces of legislation have long failed to gain muster in previous sessions. The bill, Herbert said in his address, represents the culmination of years of work of retired and currently serving legislators. “We certainly are paying tribute to those who had something to say, something to do with bringing us to this point today,” the governor said. The potential for increased prison or jail sentences was one of the reasons the ACLU of Utah was not in favor of the bill. Many politicos were on hand to mark the signing, including Lt. Gov. Spencer Cox; bill sponsors Sen. Daniel Thatcher, R-West Valley City, and Rep. Lee Perry, R-Perry: Rep. Sandra Hollins, D-Salt Lake City; and Sen. Derek Kitchen, D-Salt Lake City. A Comedy of Tenors, Anime Banzai, Beethoven's 5th, Deep Love and more.